As the mines closed in Copper Hill, Blue Ridge became well known for its art scene. Younger residents remember finding employment and a home in the artistic community. 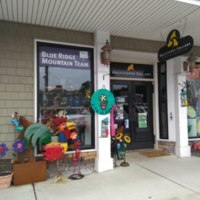 As the county's industrial centers began to close, Blue Ridge slowly became a local art center. Multitudes Gallery was one of the many art galleries that lined Main Street during this time. E. Quinn's Booksellers appealed to similar audiences as the art galleries and antique stores of the late 1900s and early 2000s. It sold antique and used books alongside wine. 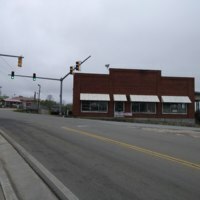 As the town transitioned away from industry, restaurants, bakeries, and other food service locations opened along Main Street. Chocolate Express contributed to the draw of Main Street, and also created retail work for young people of the area. 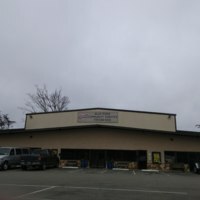 The Community Theater was also part of Blue Ridge's arts scene. It provided work for many locals in the community, and created a space for cultural expression and development. Hampton Square was the original home of the Community Theater. 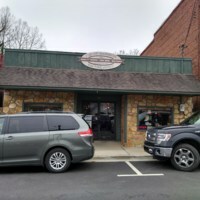 As downtown Blue Ridge changed, the theater's owners moved the institution to a newer structure. ← "After they opened up the highway"